I swear my husband, Mark, has the golden touch when it comes to this home renovation stuff. 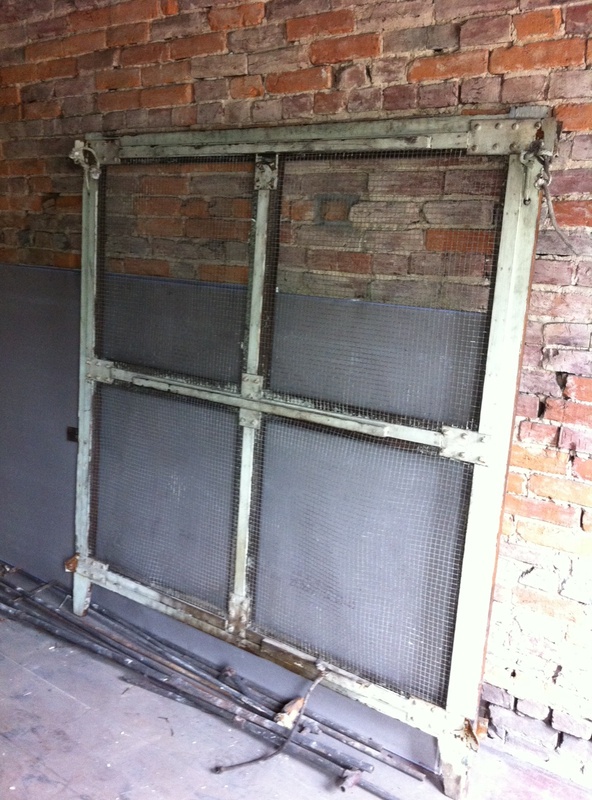 Mark picked up this old elevator door that used to be in a saw mill near 60th Street in Lawrenceville. A local artist who takes “throwaway pieces” and refurbishes them couldn’t figure out what to do with this door and was giving it away. Mark immediately thought that we could put it on the downstairs ceiling, wire lighting around it and use it as a feature piece. I also saw this picture on Houzz. I love that they did a big art piece above the fireplace. Maybe we’ll do something like that with the elevator door instead of using it as a light. By the way, if you’ve never been to Houzz.com is it AMAZING. You can search pictures by room, decor, style…it’s a great place to go for decorating ideas! Check out decorpad.com as well! 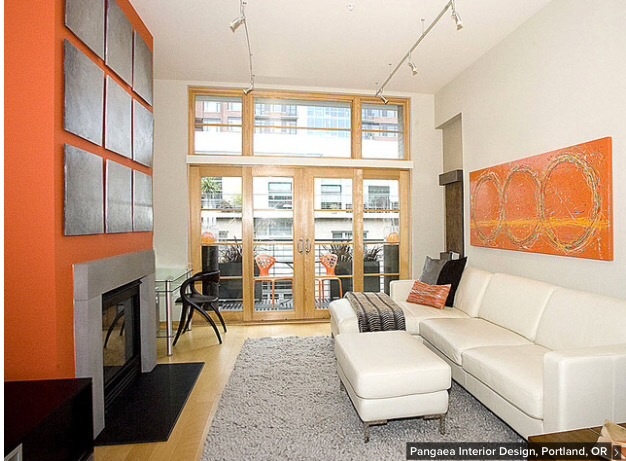 I love Houzz, but Decorpad is even better! A cool feature on their site is how you can search browse by paint color. The actual name/manufacturer of the paint is tagged. It is great when you are trying to picture a whole room colored in a certain paint. I totally gutted a house in L-Ville like you! I filled up 7 dumpsters by myself! Happy to follow your blog and wish you and your husband the best of luck in your renovation/restoration! Thanks for the great tip!! I will have to check decorpad.com out — I love that you gutted a house in Lville too. We have filled up many more dumpsters than we originally thought. Thanks for reading! !